$475. 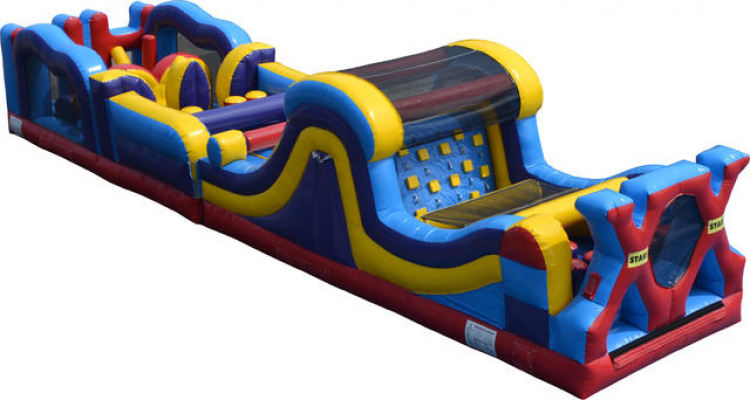 50' long challenging obstacle course with tunnels, obstacles, climb, and slide. This is a 1 day rental and must be delivered by Metz Amusements. Includes (2) 110V blowers.